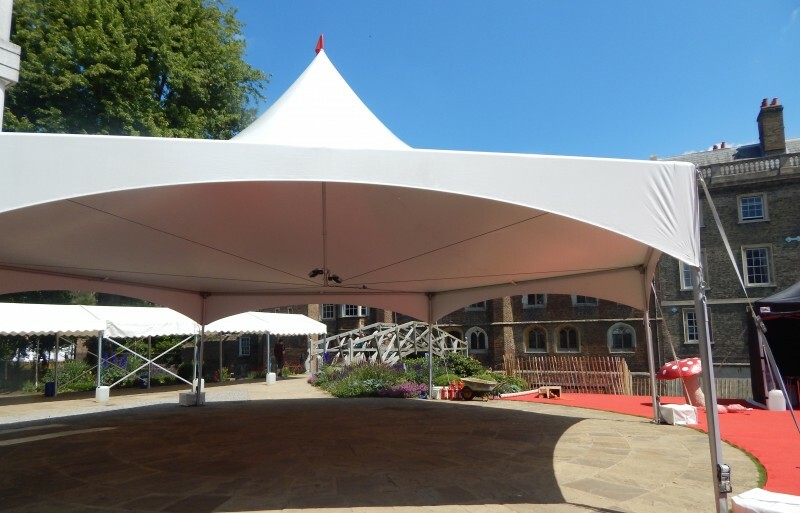 The Matrix Modular Marquees are one of the most versatile temporary structures on the market. 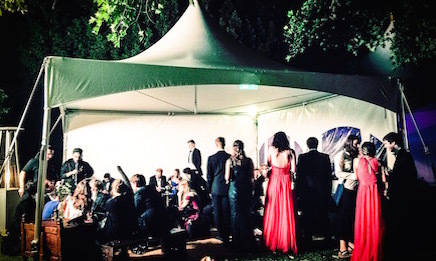 They can be installed with as many walls and windows as required and with their standard six metre length walls, can be joined together to create the perfect size and shape space to suit the venue. 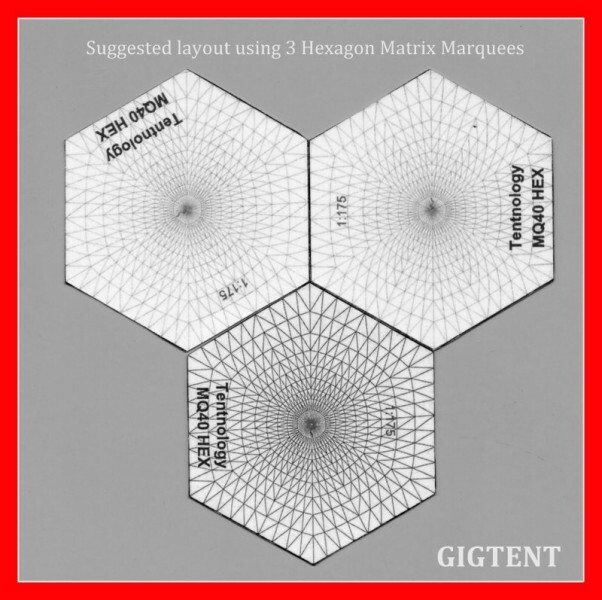 Some suggested layout plans demonstrating how the Matrix Modular Marquees can be joined to fit the exact requirements of each event. Each marquee has walls of six metres in length so you can play around with the shapes to create a unique structure. 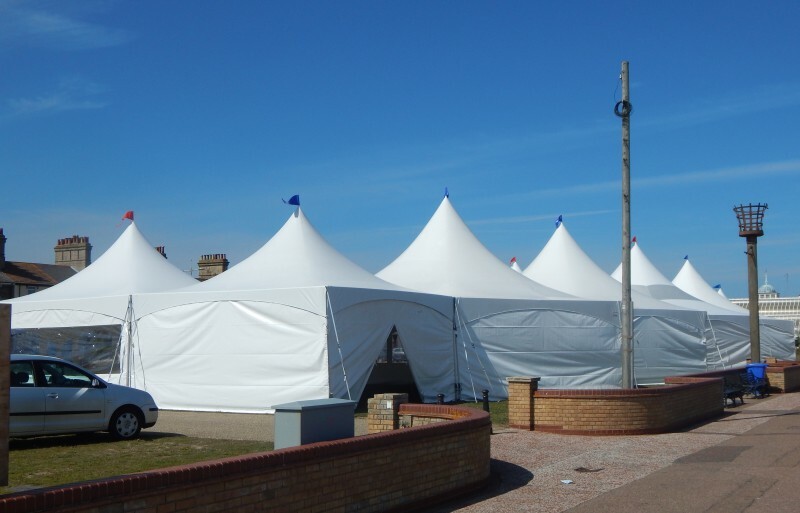 Matrix Modular Marquees can be installed on any surface, either using ground stakes or ballast for hard surfaces. The beautiful peaks of each matrix tent provides a magnificent silhouette on the outside and a light and bright clear-span space on the inside. 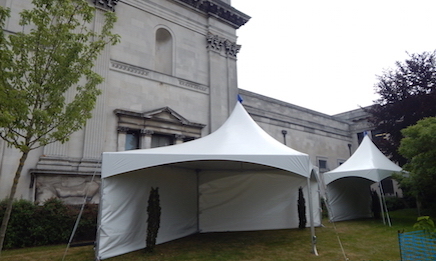 The marquees are relatively quick to install and dismantle. They don’t require internal linings and are easily and effectively decorated using the high level cross wires to hang lighting effects and decorations. Max. width 12 metres, providing 96m² coverage. Space for 100 guests seated, 180 standing. 6m x 6m sides, providing 36m² coverage. Space for 40 guests seated, 60 guests standing. 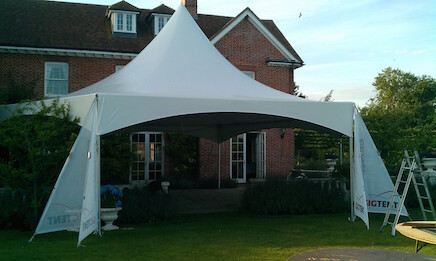 6m Diamond Matrix Pagoda Tent (34sq metres alone or as an in-fill when two Hexagon tents are joined). 6m x 6m sides, providing 34m² coverage. Space for 40 guests seated, 60 guests standing. 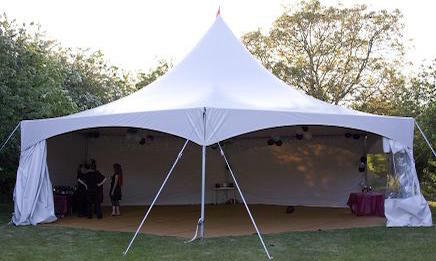 6m x 3m Rectangle Matrix Pagoda Tent (18sq metres alone or as an add on to other tents). 6m x 3m sides, providing 18m² coverage. Space for 20 guests seated, 30 guests standing.